8-channel Thermistor Analog Input and 6-channel Digital Output (NPN, Sink, Open Collector to 30V) Data Acquisition Module, communicable over Modbus RTU and RS-485. Supports operating temperatures between -25 to 75°C (-13F ~ 167F). 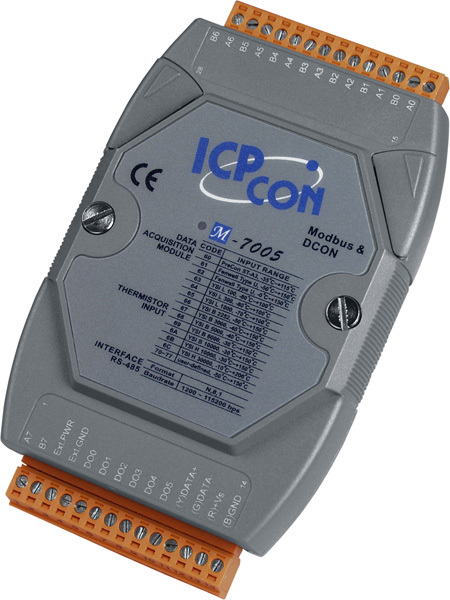 The M-7005 module provides cost-effective protection and conditioning for a wide range of valuable industrial control signals and systems. 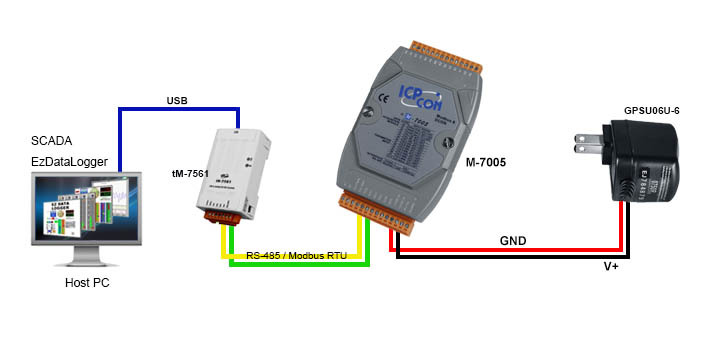 It is communicable in Modbus RTU and RS-485 protocols. 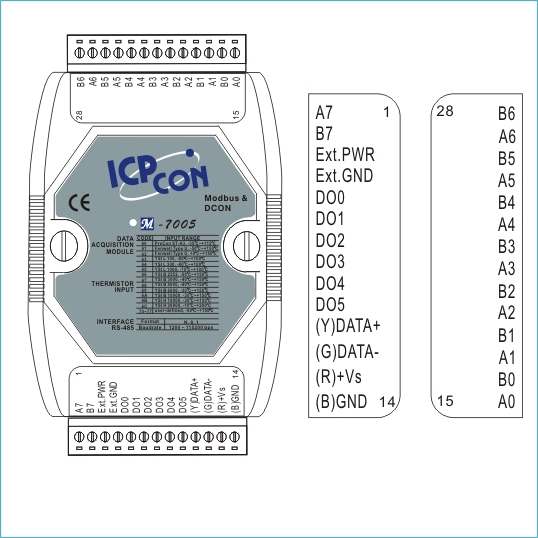 The input type is configurable; Users can select the type and range remotely by issuing commands from the host. Fewer modules may be used for different applications. 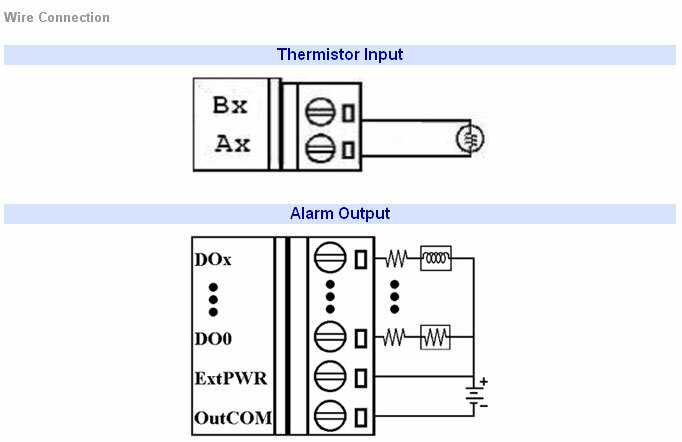 The user may mount the modules on a DIN rail, panel or wall. 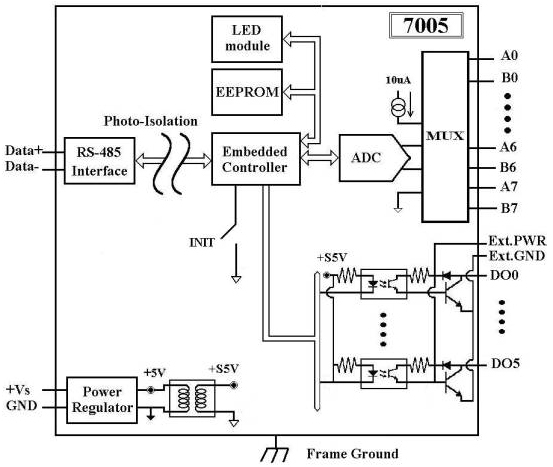 Module has a screw-terminal block to connect to the signals. M-7005 comes with FREE EZ Data Logger Software. This module is very robust. We bought it three years ago and it's still working well. If you are looking for a reliable and cost-effective data acquisition module, this is the one.